Originally introduced in 1980, the iconic Yamaha S Series grand pianos quickly became the instruments of choice for discerning pianists, venues and leading conservatoires around the world. Equally at home with classical or jazz music at the highest level, in institutions, studios or on stage, the latest development of this range, the S6X, features dramatic technological innovation that significantly enhances both sound and performance and are the first pianos to feature Yamaha’s proprietary Acoustic Resonance Enhancement (A.R.E.) treatment. A.R.E. is a revolutionary process that accelerates the ageing of wood. The overall process results in much improved tonal capability and the enhanced ‘warmth’ for which the S series has become so well known. 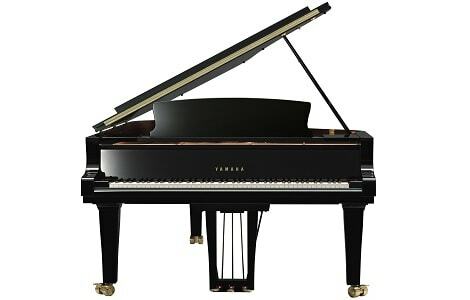 The SX Series also features a newly designed hammer structure, expanding the piano’s tonal palette, giving added warmth and depth as well as a soundboard scale identical to the acclaimed flagship CFX concert grand piano. Built with select European spruce, this soundboard delivers rich overtones, low decay and a wide range of expressive tonal colours. To further bring out the inherent resonance of the wood, Yamaha technicians construct the rims using fewer layers of glue than on earlier models. This approach adds richness, clarity and muscle to the bass and mid-range, while maintaining a warm and inviting overall tone. Read John Evans article about the SX series inside issue 96 of Pianist magazine.